Located in the churchyard of the Chapel of the Holy Trinity, a small Gothic chapel stands opposite the entrance to the old vault of the church. 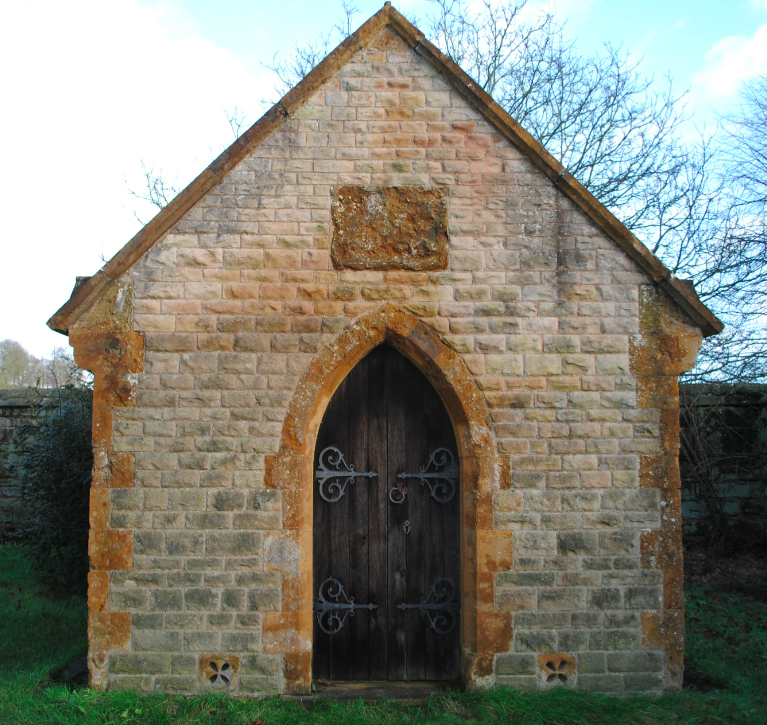 Built in 1906 following the flooding of the church vault after the nearby lake was increased in size, the mausoleum features ironstone dressings and is built from coursed sandstone. Prior to the flooding, members of the Shirley family had been laid to rest in the vault from the 17th century. The mausoleum contains two coffins – that of the Earl Sewallis Edward Shirley and his wife Francis Eugenie Matilda.